that I might not sin against you,” Psalm 119:11. As I tucked Connor in I finished up our bed time prayers, “Lord, please reveal yourself to Connor. He wants to know You more. He seeks You with all of his heart. Let him find You. Be near to Him because he loves You and he calls on You in truth.” With a kiss on the cheek I slowly started to rise from my knees. “Mom, one of our prayers makes me sad. You know, the one that says, ‘I do things against Him.’ Why did you say that?” My heart sank at the thought of my sweet Connor being sad as I covered him in prayer. While I was speaking life over him, he thought I was speaking condemnation. Prayer is the one aspect of motherhood that I have not failed at, but suddenly I’m failing at prayer too? Seriously? Shocked, I knelt next to his bed again as I silently asked my Heavenly Father for wisdom in answering my son. Without hesitation God answered my prayer. I sought His face and He met me at Connor’s bedside. Taking Connor’s hand in mine I spoke lovingly to my child, “Connor, I’m not saying sad prayers, baby. Everything I’m praying is happy. I’m asking God to protect you and help you. I’m praying for you to be happy and good. I’m asking God to help you to live the way He wants you to. I asked God to help you put the things that He says to do inside of your heart so you won’t do things that God doesn’t like; bad things. I only want you to do things that make God happy.” As the smile spread across Connor’s face I knew that God had once again been faithful to His promise. He revealed Himself to Connor through a simple bed time prayer. I am in awe of God’s love! How amazing He is! But I’m not the only one who was awed by God’s love tonight. 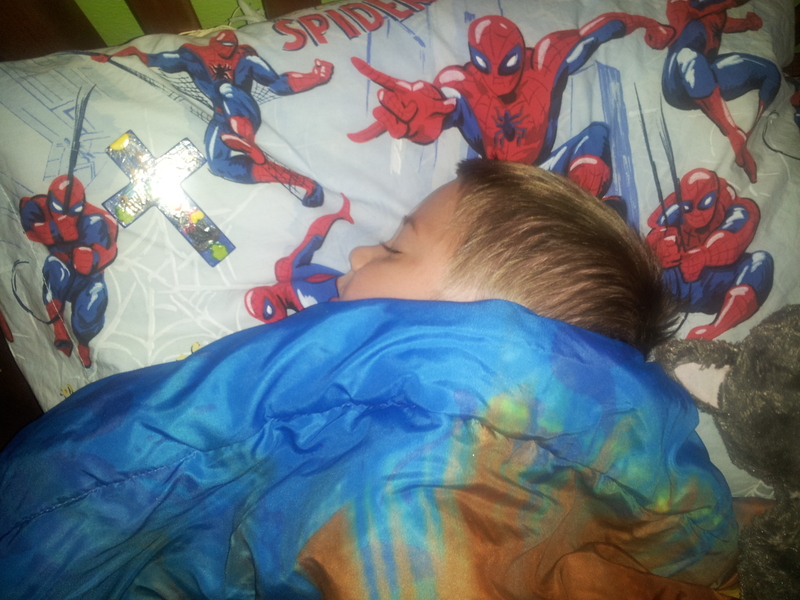 Before he would let me leave his room, Connor made me take the small, hand-painted, Peruvian cross off of his wall and give it to him; he wanted to sleep with it. “I just want to be close to God, mom.” With that, he rolled over and closed his eyes. I closed my eyes too; and silently gave thanks to my God. 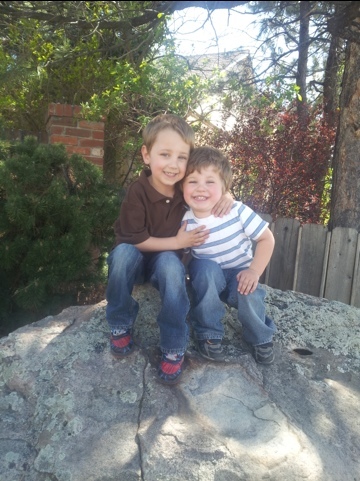 Lord, as I speak Your word over my sons continue to plant it firmly in their minds, hearts and souls. Water it with Your spirit and help them to grow it with faith so that they will bear godly fruit. Let them eat from the tree of life as they delight in your statutes and go where You lead. Let them be sensitive to Your still, small voice. They are Your sheep, Jesus, and the voice of a stranger they will not follow. Thank You for Your love and faithfulness, Lord. Nick and I could never do this alone! Continue to direct our steps and we will follow. As a family, let us grow in wisdom and stature, and favor with You and man. In Jesus’ name I pray, amen.